Some of our readers complained about their Verizon Samsung Galaxy S3 that randomly shuts down or reboots without apparent reason. This problem is somewhat common not just to units carried by Verizon in the United States. In fact, random reboots and intermittent shut downs of the Galaxy S3 are among the most common problems that ever existed on the device. An application has gone rogue causing inconsistencies. Temporary phone problem; might be a hardware or software glitch. Phone has gone too hot. Interrupted power supply due to a problem in the battery. #1. Reboot or soft-reset the phone. This procedure best works for reboots or shut downs caused by unknown problems with the Verizon Galaxy S3's software or hardware. All you need to do is reboot the phone normally and see if the persists. If it does, try soft-resetting it; take the battery out for 30 to 60 seconds then boot the phone up normally. #2. Disable or uninstall a problem application. There is an advantage in knowing when the problem started because you would also know if an installation triggered it. There are always apps from the Play Store that aren't really compatible with the phone. If you think the problem manifested after installing a specific app, try disabling or uninstalling it to make sure if it is indeed the cause. Choose Settings, then Application Manager. Swipe to left twice to choose All tab. Scroll to and tap the suspected application. Tap Force Close first and observe if the problem happens again. Tap Clear Data and Clear Cache, then Uninstall if you found out it is the cause of the problem. Turn the phone off for a few minutes to cool it off. Turn the phone on when the temperature returns to normal. From the Home screen, press and hold the Home button to display recently used apps. Swipe each app to either side to close them. Now, observe the phone to see if it still reboots / shuts down randomly. If it does, boot the phone to Safe Mode and observe again. Booting the phone to Safe Mode will disable all third-party apps. It is necessary to try this procedure when you suspect that an app is causing the problem. #4. Update the phone. Perhaps the problem is caused by a bug in the phone's firmware. If there is an available update, don't hesitate to download it and install. If the problem was fixed after doing so, then that confirms the existence of a bug, otherwise, continue troubleshooting. #5. Factory reset. After doing all the procedures above and the problem remains, it's time you brought the phone back to its original setting. But before that, make sure you back everything up that you don't want to lose. Remember that factory reset will erase all data and caches. #6. Bring the phone to a Verizon Wireless corporate store. If all else fail, there's no other option left but to bring the phone to the store (find Verizon store near you) to have it checked by Verizon technician for proper hands-on evaluation. If the phone is beyond economical repair, you may claim a warranty. 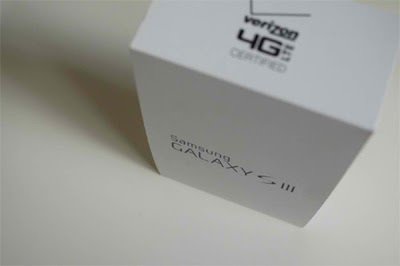 Do you have problems with your Verizon Samsung Galaxy S3 phone? Don't hesitate to send us email at sebertech@gmail.com and we will do all we can to provide you solutions and answers. And if ever you found this article helpful, please share the love by recommending it to your friends or simply like it. A simple gesture of sharing is all we need to continue what we do here at SeberTech.